Socialbakers (preferred Facebook marketing developer) is a company offering monitoring and tracking tools for analysis of social networks that are used for comparing social media stats and metrics. It's a user friendly social media analytics platform which provides a leading global solution that allows brands to measure, compare, and contrast the success of their social media campaigns with competitive intelligence. The leading social media dashboard to manage and measure your social networks. Manage multiple social networks. Schedule tweets and messages. Track brand mentions. Analyze social media traffic. HootSuite free alternatives are Tweetdeck and SocialOomph. The only platform to build and manage customer journeys. Connect interactions from any channel or device, combining customer data and behaviors to create relevant communications that are delivered in real time, on your customers’ terms. Respond to and anticipate needs and move a customer forward in their unique journey with your brand. 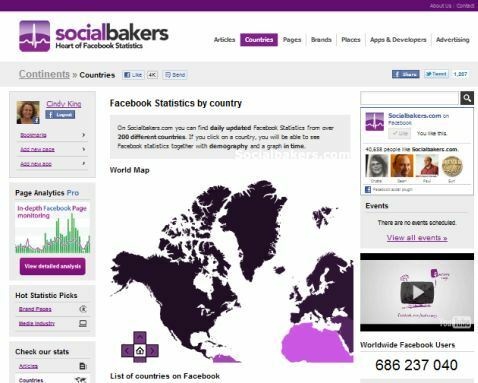 Social media analytics parovider Socialbakers has picked up the social analytics app for Facebook’s News Feed EdgeRank Checker. EdgeRank Checker provides social marketers with insights into Facebook’s News Feed, enabling brands to monitor news feed engagement by measuring how their content performs over time, and by industry and location. EdgeRank Checker was one of the first companies to take advantage of Facebook’s real-time insights API when it was quietly released in early 2012. Post-acquisition, Socialbakers says EdgeRank Checker will continue to be offered as a self-serve product, and will be provided as a module in a future release of Socialbakers Analytics.